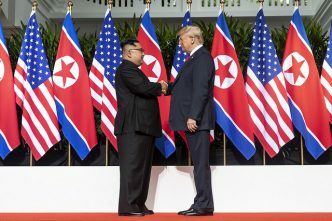 In the wake of the recent North Korea – South Korea summit, it has become clearer than ever how Kim Jong-un defines ‘denuclearisation’: it’s a series of limited unilateral declarations which constrain the North’s nuclear and ballistic-missile programs in the order and to the degree that best suit Pyongyang’s strategic interests, and from which he might escape at a time of his own choosing. In going down that path, Kim is playing from an old song book—Asian nuclear arms control has typically relied much more heavily than its Western counterpart on the concept of voluntary self-restraint. A recent article in the New York Times argued that Kim has figured out he can keep his nuclear program going, just as long as he does it quietly—following in the footsteps of India, Pakistan and Israel. There’s a large element of truth in that. But Kim’s not just trying to make North Korea look like the other non-P5 nuclear-weapon states. By accepting a series of self-imposed limitations and (conditional) obligations—in relation to nuclear and ballistic-missile testing, missile-engine test stands, and some parts of the ageing infrastructure at Yongbyon—Kim’s trying to make North Korea look like the other Asian nuclear-weapon states (China, India and Pakistan), none of which has a particularly strong record of formal, legalistic nuclear arms control of the type most favoured in Washington. Western arms control—and Russian, for that matter—turns upon exactly that legalistic, exegetical approach, in which constraints are specifically defined. Think of the SALT and START agreements, for example. They wrestled English and Russian adjectives to the floor to define the specific obligations of their signatories. What counts as a strategic nuclear delivery vehicle? How many manoeuvrable, independent re-entry vehicles are allowed, and on which missiles? What do verification measures look like? When do obligations start and finish? What are the provisions for extending the treaties? Kim’s not interested in going down that route. The North Koreans have been suspicious of detailed verification regimes involving international experts ever since the International Atomic Energy Agency picked apart their initial statements about plutonium reprocessing in 1992—back in those heady days when North Korea was a party to the non-proliferation treaty. For obvious reasons, Kim’s in no hurry now to clarify North Korea’s existing capabilities. He hopes to keep as much of his arsenal as he can—and the easiest way to do that is to conceal the dimensions of that arsenal. Nor does he believe that he has to accede to the Western model of arms control. A distinctive Asian model has emerged over the decades—one which helps offset the portrayal of Asian nuclear-weapon states as more worrying than their first-world counterparts. True, Asian nuclear powers are less attracted than their Western counterparts to formalised game theory as a guide to effective deterrence—but that doesn’t mean their decision-making is emotive or irrational. Their command and control structures are typically less well resourced than those run by the US and Russia—but it’s probably wrong to think of those structures as inherently fragile. And Asian nuclear-weapon states are less driven by ideology than were the dominant nuclear players of the Cold War—but they’re not rabid nationalists automatically driven towards ready use of nuclear weapons. Kim’s principal challenge, of course, is going to be convincing the Americans that he’s done enough to be given a pass mark on denuclearisation. That’s going to be hard, for three reasons. First, the pace of North Korean development in 2017 was so frantic—and so astonishing—that what might easily have qualified as a pass mark at the beginning of January almost certainly wouldn’t have done so by the end of December. Second, the perceived value of voluntary self-restraint isn’t fixed—it varies from country to country and from time to time, in relation to the nature of both the leadership in the self-restraining state and the intelligence about the probable existence of covert programs that undermine the validity of the original commitment. Both the Kim family’s long history of aggressive behaviour and Kim Jong-un’s more recent efforts to conceal key elements of his program surely dilute the value of any pledge of self-restraint. 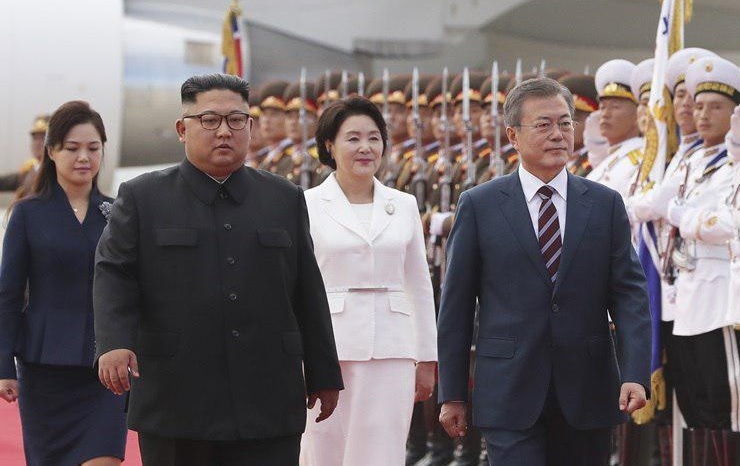 And finally, in the months since the Trump–Kim summit in Singapore, it’s become apparent that Kim has no intention of throwing away a capability which has seen him feted at diplomatic summits, redefined the relationship between the two Koreas, and helped to break the back of the previously worrying sanctions regime. Sadly, North Korea doesn’t look self-restrained. Nuclear weapons sit in the foreground of its military capabilities, not in the background. 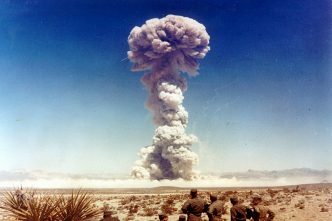 Developments in its nuclear program aren’t slow and predictable, but volatile and unpredictable. Of course, Kim has two things counting in his favour. The international community is fearful that true denuclearisation might come only with a high price tag. And the current US president seems more willing than the broader US national security community to tolerate a degree of smudging of the definition of success—in part to keep alive the notion that the Singapore summit was instrumental in managing the North Korean nuclear threat. Rod Lyon is a senior fellow at ASPI. Edited image courtesy of the Office of President Moon Jae-in on Twitter.